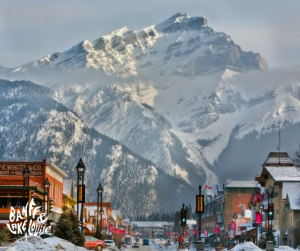 Terms & Conditions of Win a Ski Trip for 2 to Banff National Park! Entry is open to all legal residents of Australia. The Promoter has the right to verify the eligibility of each entrant. The competition commences at 9.00am September 3, 2018 (AEST) and closes at 11.59pm September 30, 2018 (AEST). This promotion is a game of skill. To enter answer in 25 words or less why you want to Win a Ski Trip for 2 to Banff National Park! Entrants must be 18 years of age or over. If the winner is under the age of 18 years, the prize will be awarded to the prize winner’s parent or legal guardian who must accompany the minor when staying at any accommodation prizes offered. A judging panel will review the entries and choose one winner. The winner will be contacted via their submitted email address. The judges’ decision is final and no correspondence will be entered into. The Promoter reserves the right to verify the validity of entries and to disqualify any entry which, in the opinion of Promoter, includes objectionable content, profanity, potentially insulting, inflammatory or defamatory statements, disqualify any entrant who tampers with the entry process, who submits an entry that is not in accordance with the Terms & Conditions of entry or who has, in the opinion of Promoter, engaged in conduct in entering the Promotion which is fraudulent, misleading, deceptive or generally damaging to the goodwill or reputation of the Promotion and/or Promoter. The Promoter reserves the right to disqualify a winner if Promoter becomes aware that the winner and/or the winner’s entry is of a type described in this clause. Entries must be received by 11.59pm (AEST) September 30, 2018. The Promoter accepts no responsibility for any late, lost or misdirected entries due to technical disruptions, network congestion or for any other reason. Prize includes 7 nights accommodation at Moose Hotel in a Superior King Room, 2 x 5 day SkiBig3 lift passes and return ground transfers from Calgary airport for 2 adults. RRP value up to $3,140. Blackout dates apply: December 21, 2018, to January 6, 2019, and February 17-23, 2019. Travel insurance is highly recommended to protect against additional cost incurred in the event of unforeseen circumstances. It is your responsibility to ensure that you and your travel companion/s have the requisites visas, vaccinations, valid documentation (including but not limited to valid passports and visas) which meet the requirements of immigration and other government authorities at every destination. Any fines, penalties, payments or expenditures incurred as a result of such document not meeting the requirements of those authorities will be your sole responsibility. Subject to the unclaimed prize draw clause, if for any reason the winner does not claim the prize (or an element of the prize) by the time stipulated by the Promoters, that date being November 30, 2018, then the prize (or that element of the prize) will be forfeited. Prize value is in Australian dollars. Subject to any written direction given under regulation 37 of the Lotteries and Gaming Act 1993 (SA Australia), the promoter may conduct further draws at the same time and place as the original draw as necessary to distribute the prize. The Promoter shall not be liable for any loss or damage whatsoever which is suffered (including but not limited to indirect or consequential loss) or for any personal injury suffered or sustained in connection with any prize/s except for any liability which cannot be excluded by law. The Promoter is not responsible for any incorrect or inaccurate information, either caused by the phone or computer user or for any of the equipment or programming associated with or utilised in this competition, or for any technical error, or any combination thereof that may occur in the course of the administration of this competition including any omission, interruption, deletion, defect, delay in operation or transmission, communications line or satellite network failure, theft or destruction or unauthorised access to or alteration of entries. Blue Powder Travel and its associated agencies and companies assume no responsibility for any error, omission, interruption, deletion, defect, delay in operation or transmission, communications line failure, theft or destruction or unauthorised access to, or alteration of entries, and reserves the right to take any action that may be available. If for any reason this competition is not capable of running as planned, including due to infection by computer virus, bugs, tampering, unauthorised intervention, fraud, technical failures or any causes beyond the control of the Promoter, which corrupt or affect the administration, security, fairness or integrity or proper conduct of this promotion, the Promoter reserves the right in its sole discretion to disqualify any individual who tampers with the entry process, take any action that may be available, and to cancel, terminate, modify or suspend the competition, subject to any written direction given under State Regulation (Australia). All entries become the property of the Promoter. The Promoter collects personal information about you to enable you to participate in this promotion. By entering into this competition you are agreeing to receive emails from Blue Powder Travel. You will be given the opportunity to unsubscribe on every email that we send.